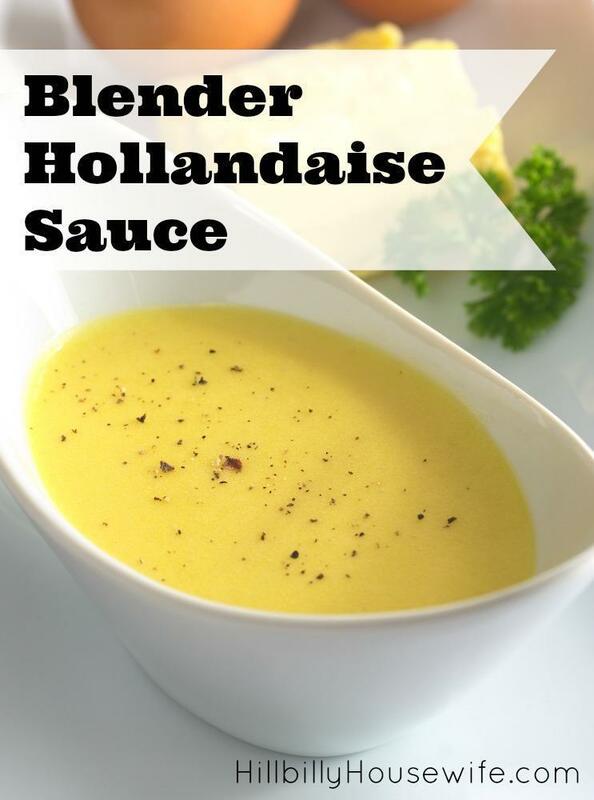 Sauce Hollandaise is such a rich creamy sauce that’s perfect served over fresh asparagus or broccoli. And of course it’s an integral part of Eggs Benedict. Making it the old fashioned way in a bowl with a whisk can be a bit of a challenge. Using a blender makes it much easier. Just follow the directions below and you’ll have an amazing batch of this rich and delicious sauce in no time. Separate the eggs and save the whites in the fridge for your next omelete. Place the yolks in a blender. Measure in the lemon juice, salt and cayenne pepper. Place the lid on the blender and Whizz it for about 30 seconds, or until everything is well mixed. Now remove the blender cap and, with the blender still running, s l o w l y drizzle in the melted margarine in a narrow stream. The sauce will thicken up as you add the margarine, sort of like mayonnaise only yellower. After all of the margarine has been added continue blending for a full minute to be sure everything is nice and thick and smooth. Serve immediately or allow to sit for a little while before serving. Leftovers should be refrigerated. If you are worried about the raw egg yolks let me remind everyone that the lemon juice makes this sauce very acidic. Salmonella can’t survive in an acidic environment. This is why we never heard of mass Salmonella poisonings from raw eggs in hollandaise sauce before the invention of the refrigerator. If you are still worried about the raw egg, then you can use pasteurized eggs found in some grocery stores, 1/4 cup should be enough. I serve this sauce over fish, asparagus, broccoli, boiled eggs, poached eggs & turkey bacon or turkey ham, fried tofu or steamed chicken.